Is eight weeks enough time to earn back the love of someone you've betrayed...the only one you've ever loved? Cal asks Shelly for eight weeks. 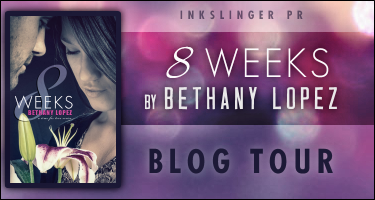 Eight weeks to convince her that their marriage is worth the fight. Will Shelly be able to trust him again, or will their marriage end the way many others do when faced with opposition… In divorce? 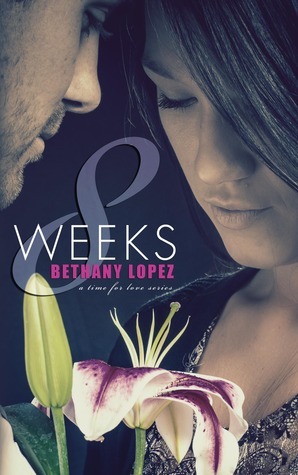 8 Weeks is book 1 in the Time for Love series, but can be read as a stand alone. Award-Winning Author Bethany Lopez began self-publishing in June 2011. Since then she has published various YA and NA books. She is a lover of romance, family, and friends, and enjoys incorporating those things in what she writes. When she isn't reading or writing, she loves spending time with her husband and children, traveling whenever possible. YA Book Blast and Kindle Paperwhite giveaway!